As I'm still visiting home to help my parents move house (the most mammoth task I have ever encountered) the lovely Katie offered to write a guest post for you all so you don't forget this blog exists! isn't she a gem! I am so excited to be guest-posting for Annabel today. I would consider Annabel to be one of my good blogging friends (she’s awesome, right? ), and without paraphrasing Amber’s recent post, I really am rather honoured that she is allowing me to speak to all her lovely readers. For those who don’t know, I blog about natural products that are also vegan. Therefore, I thought that it might be a good idea for me to share some of my current favourite vegan & natural beauty products! 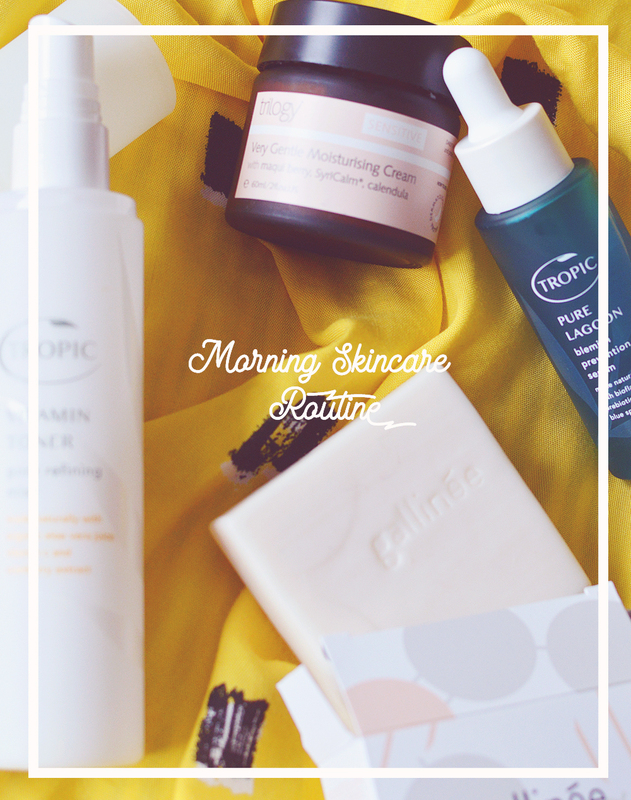 Let’s start with skincare. One of my most recent purchases (and recent loves) has been the Dr Alkaitis Organic Soothing Gel. Think of it as good old aloe vera gel after a little upgrade. The addition of organic plant extracts and essential oils, lend this product to being extremely soothing (obviously) and a lifesaver in a time of painful pores and sensitive winter skin. In the summer, this could even be used as a lone daytime moisturiser for finicky oily skins. 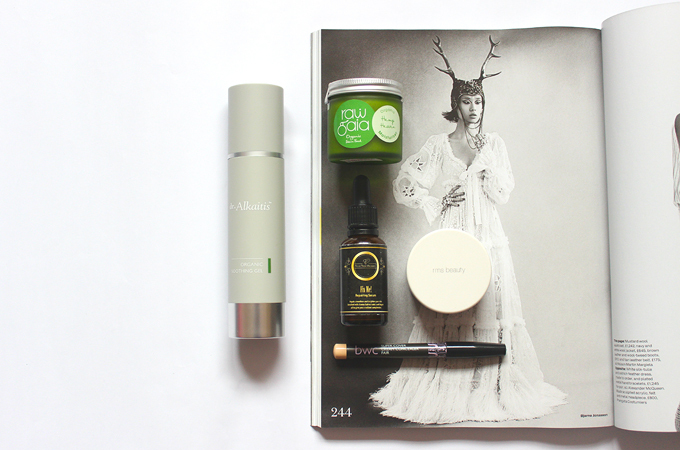 Two other vegan skincare products that I’ve been loving - for those of us burdened with sensitive problem skin - include the newly discovered Raw Gaia Hemp Heaven Moisturiser* and the Yours Truly Organics Fix Me Serum. The first of the pair is something that I have continuously raved about on my own blog. This is a cocoa & hemp based balm that is an amazing nigh-time hydrator, without the dreaded pore overload. I cannot help but stroke my skin after application. So. Soft. The serum on the other hand is a total staple for me. This is my second bottle and there is no sign of turning back. With its bizarre, water-like and almost soapy consistency, this serum is light and easily absorbed. Ingredients include oat kernel, saw palmetto and sesame seed extract to soothe and reduce inflammation from acne. I love it. Finally - on the makeup front - there are two staple vegan products that are always pride of place in my collection. The first of which is a product loved by both myself and Annabel, the RMS Beauty Un-Powder. This beautifully packaged jar houses 100% super finely-milled Silica powder which works excellently as a non-clogging setting powder for combo skins. The second being the Beauty Without Cruelty Super Cream Concealer. Beauty Without Cruelty is one of those veteran vegan makeup brands but this product is relatively new, and extremely awesome. In a pencil form, the formula is smooth, offers brilliant coverage and comes in a shade light enough for my zombie-esque skin tone. Yay! It’s a mega steal at only £6.99 and has quickly become my holy grail concealer, lending its skills to both under-eye and spot concealing. Great picks! I absolutely adore the Dr. Alkaitis Soothing Gel! And I'd love to try out the Beauty Without Cruelty Super Cream Concealer. Many finds hear definitely worth taking a look at though!